Listen to Empress Of's new song, "Go To Hell" and an exclusive playlist of breakup anthems. 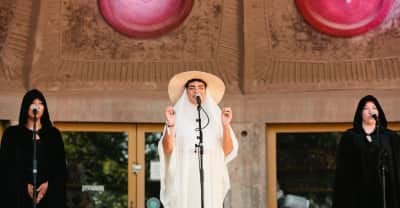 We spent three days in the Arizona desert soaking up music, art, and the best of vibes. This is what it looked like. Listen To Empress Of's "Woman Is A Word"
Taken from an upcoming new Darkstar EP. Empress Of covers The Weeknd's "Can't Feel My Face." Empress Of Shares "Icon" Video. Abra Remixed Empress Of's "Standard." Empress Of and Abra have been touring together since September, and we've laid out the Instagram history of their friendship. On Empress Of's "Kitty Kat," a subversive young beat wiz rages against street harassment with more than words. 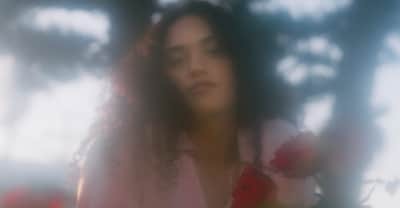 Empress Of reworked songs from her Me album with Dev Hynes and Kimbra.